When someone dies, typically, they will have some amount of property that needs to be distributed to new owners, hopefully through an established estate plan. Depending on the type of property involved and the overall value, the law may require the family to go through the probate process before a transfer of assets is permitted. 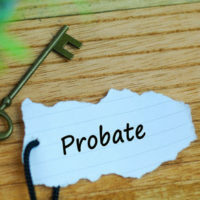 Probate is a court-supervised process used to legally transfer ownership of a person’s property after death if it does not automatically fully vest in another person. The probate process in Florida is quite complicated and lengthy compared with other parts of the country, which means the time and expense of completing it are commonly higher. Further, because potential heirs are so invested in the division of assets, probate can provoke some individuals to challenge every step, in hopes of convincing a court to give them a greater share. A retired attorney in South Florida recently filed multiple lawsuits against family members in Palm Beach and Broward Counties over the disposition of his late father’s $100 million estate, which is almost guaranteed to destroy family relations. No one wants loved ones to fight over money and property once he/she is gone, but the stress of the loss coupled with the complexities of probate can push some individuals to litigate disagreements. Avoiding this outcome is always the goal of any estate plan, and a discussion of the various types of probate, as well as the major potential drawbacks of this process, will follow below. There are three primary types of probate administration: formal, summary, and disposition without administration. As the name implies, formal administration is the most involved of these options and is typically required when a person dies with property of notable value beyond his/her home. In addition to distributing assets, another major aspect of probate is allowing creditors to settle claims they may have against the estate before transferring ownership to an heir. If creditor claims are allowed, the person in charge of managing the estate, the personal representative, may need to liquidate or sell off assets to satisfy the obligation. If such action is necessary, this will add additional time to finish the process and close the estate, which at a minimum is four months, and typically 6-8 months, but can last much longer depending upon the circumstances. A less involved option used by smaller estates is summary administration, which is permitted when the value of assets subject to probate (certain property is exempt) is $75,000 or less. The process can often be completed within 30-60 days. Parties that are in possession of assets that belonged to the decedent, are directed by court order to distribute the assets directly to the beneficiaries. This type of proceeding can only be utilized in the simplest situations, because in a summary administration no Personal Representative is appointed by the Court. Finally, disposition without administration may be an option that only contains personal property exempt from creditors, such as a motor vehicle, and non-exempt personal property worth no more than funeral expenses of up to $6,000 and the out-of-pocket cost of medical care for the last 60 days of the deceased’s life, but the applicant must show evidence that he/she paid those expenses. As briefly mentioned above, a formal probate proceeding often takes up to a year to complete. The individual appointed as personal representative receives three percent of the estate for “ordinary services,” and costs incurred, which can involve court filing fees, attorney fees, appraisers, accountants, etc. An average probate case takes six to eight months to complete, and much of the information about the estate is available in public records. Working with an estate planning attorney in advance can allow complete or substantial avoidance of this process, and the associated stress. Estate planning is not something that should be left until the last moment, or even worse, to the rules of the legal system. Attorney William Rambaum has the experience needed to help you avoid unnecessary expense and hassle when passing your belongings onto the next generation. Contact our Oldsmar law firm today to schedule an appointment.